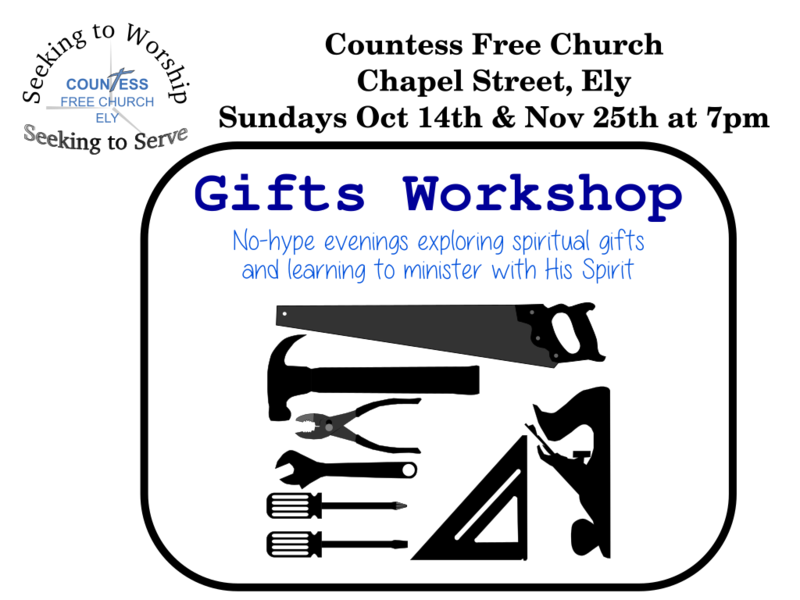 On Sundays 14th October and 25th November at 7pm we are holding Gifts Workshop evenings. Each session is suitable for adults and youth. It has some practical teaching, and then an a straight-forward exercise suitable for every one to join with. It is through this that people discover how God gives them things to bless others, and receive blessings themselves. Everyone who comes goes away feeling encouraged – so please feel free to come along and join in! Although each session is self-contained, the second session builds on the first – so we invite people to come to both if possible. If you can only make one, then we are still confident that you will go away blessed.